a regional economy being transformed by new energy. The SEED Center is a $13-million facility that serves as the economic development and innovation headquarters for Southwest Louisiana. ever before has one building symbolized so much. The SEED Center in Lake Charles, La., represents the culmination of a regional partnership aimed at bringing new business and industry to Southwest Louisiana. The Southwest Louisiana Entrepreneurship and Economic Development Center at McNeese State University is more than just a symbol, however. It is a working headquarters where key players in economic development meet to craft the strategic and tactical plans that are transforming the entire region. Judging from the returns of the past year, those plans appear to be working quite well. Throughout the five-parish region known as Southwest Louisiana, a total of $62 billion in new construction is either planned or taking place, and the vast majority of it will soon deliver much-needed infrastructure to the nation’s petrochemical industry. From Sasol North America’s $21-billion investment into an ethane cracker, derivatives complex and gas-to-liquids facility in Lake Charles to Cheniere’s $20-billion investment into its Sabine Pass LNG complex in Cameron Parish, the region now boasts the single-largest concentration of new energy plant projects. The sudden surge in building activity has catapulted Greater Lake Charles — a metropolitan area of 300,000 people — into one of the top-performing MSAs in the country. On Jan. 30, IHS Global Insight ranked Lake Charles No. 31 in the nation on a list of metro areas’ expected growth. Lake Charles is projected to grow its economy by 3.7 percent this year, topping every other MSA in Louisiana. By comparison, IHS ranked New Orleans 54th and Baton Rouge 133rd. Lake Charles also ranks as one of the top job-growth markets in the country. IHS placed Lake Charles 42nd in the U.S. in expected employment growth. By 2019, Southwest Louisiana is projected to create 20,000 new construction jobs, 5,000 new permanent jobs and 8,000 new indirect jobs. In fact, employment growth in the region has already begun. 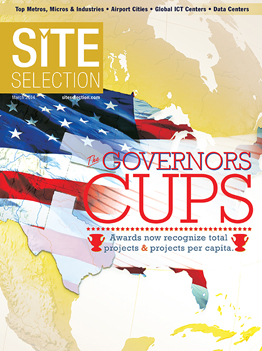 From December 2012 to December 2013, Lake Charles recorded the second-largest jump in construction employment in the nation, 28 percent, according to the Associated General Contractors of America. The region added 2,700 new construction jobs last year, the AGC reported. The hub of it all is the new SEED Center, created by a partnership of the Calcasieu Parish Police Jury, Southwest Louisiana Economic Development Alliance, City of Lake Charles and McNeese State University. Funding from federal, state and local sources made it possible for the $13-million facility to open last year debt free. Lake Charles is known nationally for its abundance of parks and other recreational amenities. The building houses a variety of business development initiatives, including: the SEED Business Incubator and Entrepreneurial Center; Louisiana Small Business Development Center at McNeese; Institute for Industry-Education Collaboration; McNeese Student Innovation Center and Business Incubation Studio; McNeese Student Internship Program; and the McNeese Office of Research and Sponsored Programs and Dore School of Graduate Studies and Extended Education. More important than the programs housed inside the building, however, are the results produced outside it in the community. At the forefront of that opportunity is Sasol, a South Africa-based company that’s bringing the largest capital investment in the history of Louisiana industry. The oil and gas industry forms the lifeblood of the Southwest Louisiana economy. The planned new facilities will be located next to Sasol’s existing plant in Calcasieu Parish and will create more than 5,000 jobs at peak construction, more than 1,200 full-time permanent jobs and thousands of indirect jobs. To help meet the increased demand for workers, Louisiana is investing $20 million in a SOWELA Technical Community College training facility that will be used by Sasol to support its workforce needs. The McNeese State University Cowboys continue a longstanding tradition of quality football in Louisiana. McNeese State University and SOWELA Technical Community College form the backbone of higher education and workforce development in Southwest Louisiana. With an enrollment of 8,300 students, including 400 from other countries, McNeese State is the largest four-year university in the five-parish region. SOWELA, meanwhile, serves as the region’s primary workforce training arm. With an enrollment of around 3,000 students, SOWELA equips students for the workforce at the school’s new campus at Chennault International Airport in Lake Charles. Graduates from SOWELA with associate’s degrees make $60,000 a year in petrochemical jobs. In many cases, notes Aspinwall, people with bachelor’s degrees are coming back to SOWELA to earn associate’s degrees and in turn improve their pay. Richard Smith, vice president of workforce development for the Southwest Louisiana Economic Development Alliance, says a major goal of both SOWELA and McNeese is to train the workforce that will fill the need for more than 20,000 construction workers by 2016. In nearby Cameron Parish at Sabine Pass, Cheniere has already invested $12 billion over the last 18 months into its LNG expansion. The firm currently has 2,500 people working on site and is increasing its construction staff by 250 workers a month, according to Cheniere CEO Charif Souki. Cheniere received regulatory approval for the project in April 2012 from the Federal Energy Regulatory Commission. Upon completion, the plant will be the first of its kind in the contiguous U.S. capable of exporting natural gas in liquefied form. Currently, Cheniere is capable of storing close to 17 billion cubic feet of gas at its Sabine Pass terminal. Supporting all of this industrial activity is a network of seaports and airports designed to move commerce quickly and efficiently in and out of the Gulf Coast region. The juggernaut of this logistics infrastructure is the Port of Lake Charles, the 11th busiest port by cargo tonnage in America. In addition to providing critical transportation services for industrial end-users, the port provided sites for Sasol, G2X, Lake Charles Clean Energy, Trunkline LNG, IFG and the $500-million, under-construction Golden Nugget casino and resort hotel. The port is also a partner in a new housing project that will provide temporary homes for 4,000 construction workers in Lake Charles. The sun sets over one of the many bridges in Southwest Louisiana. Rivers, bayous, marshes and bays cover the region. Northrop Grumman, which employs more than 650 workers on site, intends to make Chennault its Center of Excellence for Technical Services and Repair Operations. NG secured a significant deal when the U.S. Air Force awarded the firm a $3.2-billion KC-10 air tanker MRO contract. AAR, which also does MRO work at Chennault, plans to expand its local workforce from 130 to more than 800 in coming years. Focusing on wide-body jets, AAR is the No. 1 MRO in the nation and No. 3 in the world. Million Air Lake Charles, a high-end fixed-base operator, recently opened a new $3-million aviation terminal facility and two new 110,000-gallon fuel tanks. Louisiana Millwork employs 100 workers on site and is expanding its work in Louisiana and Southeast Texas. SOWELA Technical Community College completed a Phillips 66 Process Technology Center and an Arts and Humanities building on site and is building a Nursing and Allied Health facility. In addition, a $20-million Workforce Training Facility is in the planning phase on the new SOWELA campus at Chennault. Lynn Hohensee, director of the West Calcasieu Port in Lake Charles, says his much smaller port serves as home base for many of the marine service companies that provide critical support to both port and offshore operations. Outdoor enthusiasts find a lot to like in Southwest Louisiana. Bird-watching, hunting, fishing and bike-riding are popular pastimes here. The historic Bank Hotel is a popular overnight stay for visitors to Jefferson Davis Parish. Devall Towing & Boat Service in Sulphur, La., is the port’s main tenant in the barge support sector. A family-owned business that has operated in the Lake Charles area for half a century, Devall recently signed a lease extension that will keep the business firmly anchored at the West Calcasieu Port into 2037. Devall Towing is not the only firm growing at the West Calcasieu Port. Orion Marine Group, a marine construction company, invested $3-million to upgrade the waterfront at the port. River Barge Works, U.S. Environmental Services and TRESCO are also growing on site. In Jefferson Davis Parish, a number of industrial plants continued to grow in 2013. Among them were Louisiana Spirits, a rum distillery; Zagis USA, a cotton-spinning plant; and Leevac Shipyards, which is in line to win a major boat-building contract from Viking River Cruises. In the City of DeRidder in Beauregard Parish, industry keeps expanding as well. Boise Paper, Meadwestvaco, Ampacet and AmeriSafe all showed growth in 2013.